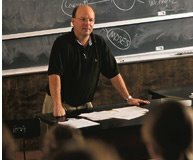 We continue to think with Scot McKnight about "what is the gospel?" as he writes Embracing Grace: A Gospel for All of Us. Chapter 1 opens "The gospel is more like a piece of music to be performed than a list of ideas to endorse. ...Thus, it is a gospel that is both proclaimed and performed." "...[W]hen the gospel is embodied it tells the gospel story better than anything Hollywood can flash on the screen and better than any novelist can put on paper. ... We don't want to be told that the gospel all of a sudden will solve all our problems and make the world shine its happy face on us...because we know it isn't true." The gospel is neither "glitzy" nor "tame." It doesn't erase all problems. It's not about "being nice to one another" and all will be well. The gospel is not about being phony and pretending to be perfect. It doesn't create walls that separate people, but invites "everyone to come to the table and listen to Jesus." In a "come-as-you-are-culture," people are looking for an authentic gospel with permeable walls. "A stronger way of saying it is this: this generation is challenging the Church to perform what it proclaims, or, to use a less elegant phrase, to put up or shut up." Scot recounts the "performance" of Patrick of Ireland, tells the story of NorhtBridge Church in Illinois near the Wisconsin state line, and affirms Solomon's Porch in Minneapolis. Chapter 1 ends with "Proclamation and performance of an authentic gospel combine into credibility." My dad will be pleased that he his series is immediately following Hemingway's!!! He will say the only difference is that one is from Libertyville and one is from Oak Park. Scot is in a different universe than "Papa" though both are very good writers. Go, Cubs!